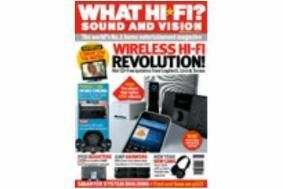 February 2010 issue on sale now | What Hi-Fi? If you've some Christmas cash to spend and fancy catching the January sales we've got all the advice you need on a smorgasbord of new kit. From stereo amplifiers to full HD TVs, iPod docks to headphones, AV systems to wireless streaming systems, there's sure to be something to get your wallet twitching. Our Supertest this month concetrates on 37in LCD TVs, with six models taking on the award-winning Panasonic in a seven-way fight for supremacy. If you're feeling flush then we have four stereo amplifiers weighing-in at around £2000 to set you salivating, alongside high-end kit from Naim and music server specialists Olive. There's an iPod dock system round-up, which together with a collection of some of the best headphones around will ensure you're hearing your portable at its best. A three-way Group Test will point the way to the best AV amplifier and Blu-ray player combinations on the market for £1000, while our Playlist section has all the best movies, games and music to make the most of it. Style speaker packages are present and correct this month too, with the infamous KEF eggs system coming up against challengers from B&W and Cabasse. Elsewhere there are tests of Linn's new streaming system, Toshiba's first Blu-ray player, a Unison Research stereo amp, a Freesat HD recorder from Sagem, plus phones, media PCs, speakers, TVs and much more. All told it's a jam-packed 196 pages of the latest and greatest kit around with our expert opinions on every one. Grab your copy today!